Wern Farm offers a touring caravan park and a self catering holiday cottage near Conwy in North Wales at the edge of the Snowdonia National Park. 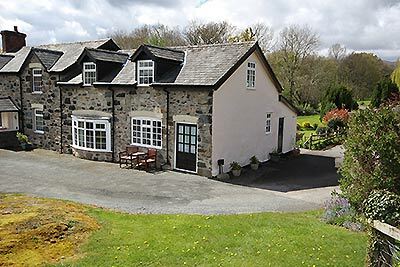 This is an ideal location for a holiday or short break exploring the tourist attractions, outdoor activities and natural beauty of North Wales. 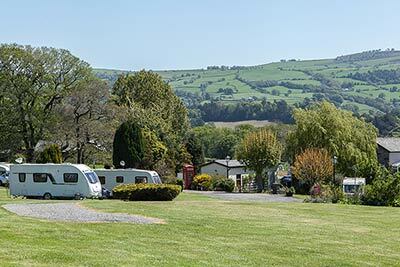 Wern Farm Caravan Park is a small site with plenty of space in a peaceful location near Conwy for touring caravans and motorhomes (no tents). The Holiday Cottage offers self catering accommodation that sleeps 2 people, and has 1 double bedroom.
" Have been to Wern Farm 3 times now and we love the site, its so peaceful and relaxing, and the owners are so helpful and welcoming. We only live about half an hour away but will always come here for a long weekend, can't recommend it enough. " " We're back again to this lovely caravan site. Lots of space for your caravan and awning on all pitches. Each pitch is marked out and levelling the caravan is a dodle. It's so peaceful and so many places to visit in short distances from here. Well worth a visit. " " Excellent site. Quiet and peaceful with excellent facilities a short bus ride from Conwy and Bodnant garden. Pitches are well spaced and level, plenty of room to sit out and enjoy the views. "